Your body is equipped with a sophisticated detoxification system, but in today's chemical world, toxins can enter the body faster than it can eliminate them. 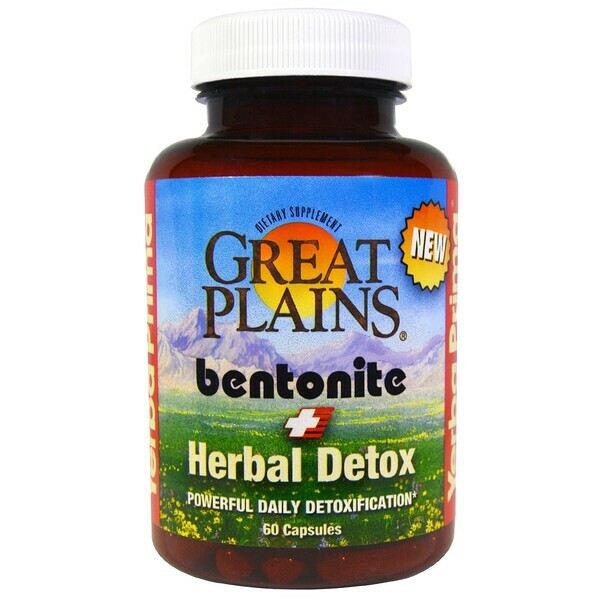 Bentonite + Herbal Detox's powerful ingredients boost both phases of detoxification—this reduces toxic load, boosts energy and immunity, enhances digestion, even helps clear the skin. Bentonite + Herbal Detox also supports male and female sexual health by helping remove harmful estrogens from the body. 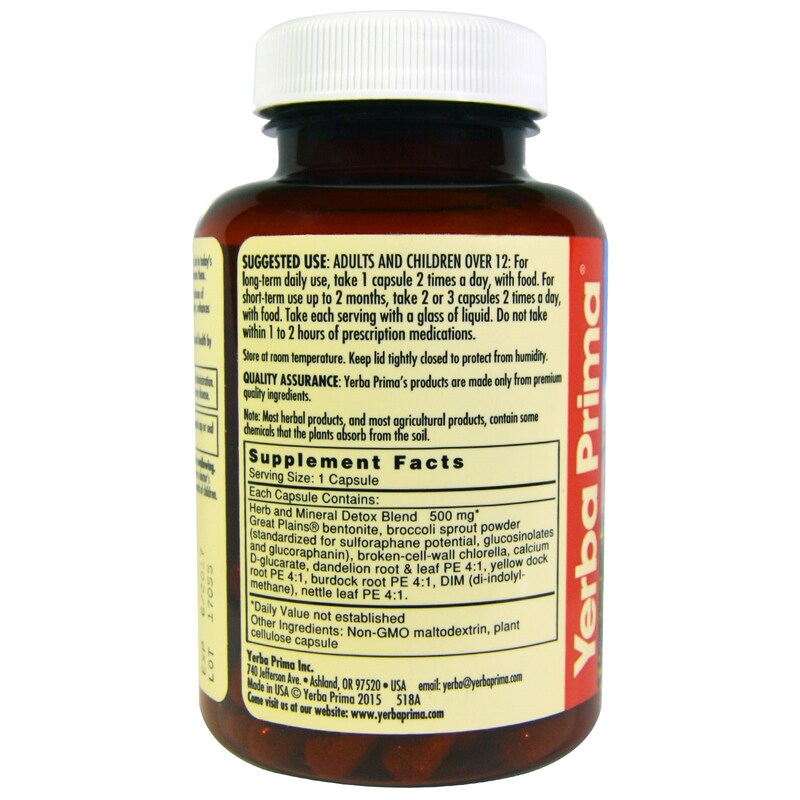 Quality Assurance: Yerba Prima's products are made only from premium quality ingredients. Adults and Children Over 12: For long-term daily use, take 1 capsule 2 times a day, with food. For short-term use up to 2 months, take 2 or 3 capsules 2 times a day, with food. Take each serving with a glass of liquid. Do not take within 1 to 2 hours of prescription medications. Caution: do not take capsules if you have difficulty in swallowing. Do not use if pregnant. If you are taking medication or are under a doctor's care, consult a health professional before use. Keep out of the reach of children.